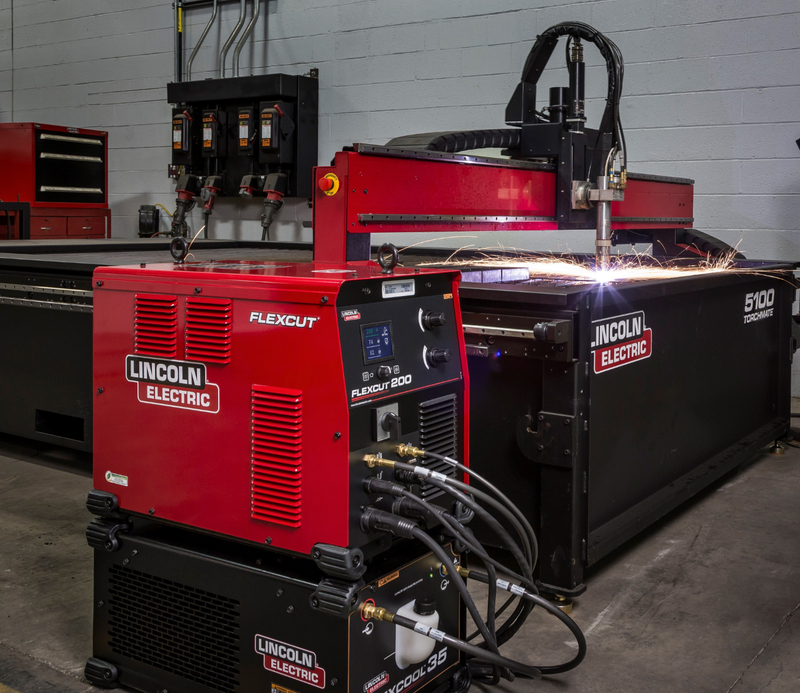 The FlexCut 200 mechanized plasma cutting system by Lincoln Electric is designed as a 100% duty cycle plasma cutter at 200A. 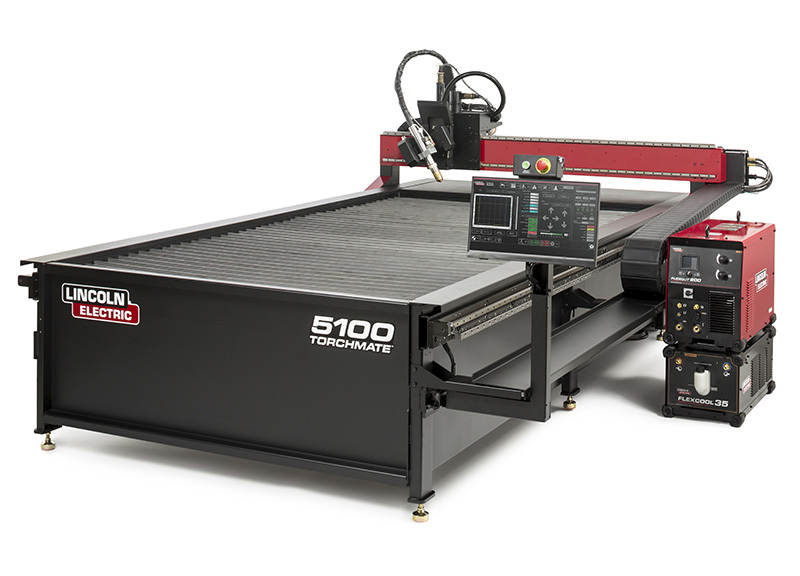 This system operates using air or oxygen plasma gas and has achieved a new industry standard for exceptional cut quality, remarkable cut speeds and consumable life cycle. 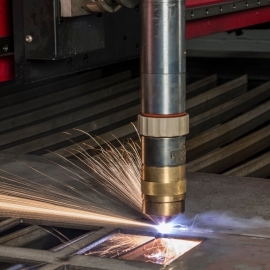 This plasma cutting system is intended for those needing the highest cut quality possible without the expense of a high definition plasma system. The FlexCut 200 is capable of piercing mild steel up to 1-1/4 in (32 mm) and edge start cutting up to 2 in (50 mm). 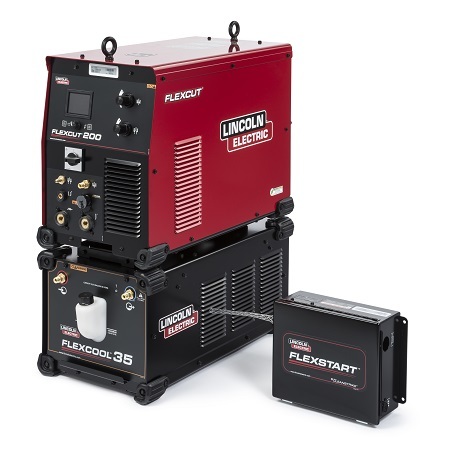 The FlexCut 200 plasma cutting system not only gives you the cut speed and quality you have come to expect from the FlexCut family of plasma cutters, but an increased level of power and dual gas capability. 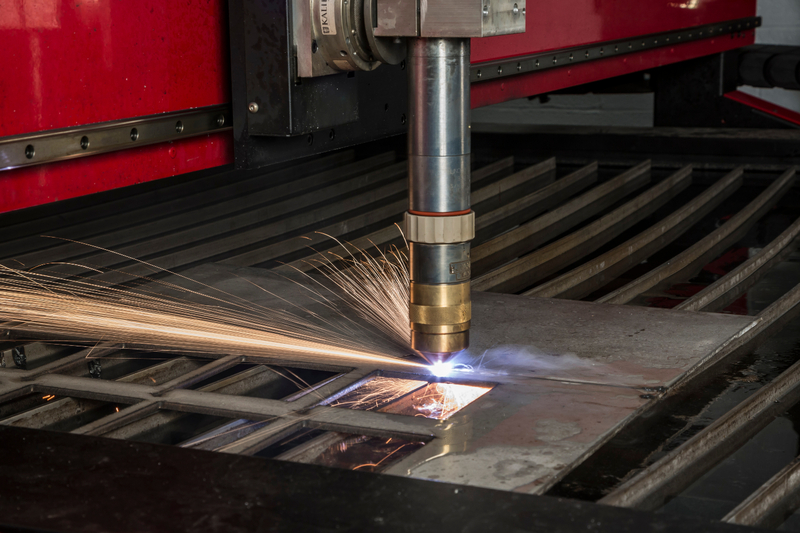 The system operates using air plasma gas for cost-effective results or choose oxygen plasma gas to achieve a superior edge cut quality. 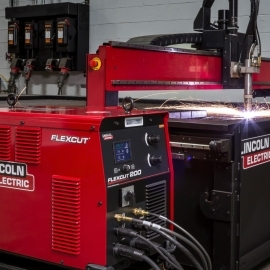 The FlexCut 200 features a dual gas liquid cooled plasma torch for more consistent cuts and longer consumable life. The torch also features a quick-disconnect torch head to enables quick and easy changeover of consumables which reduces machine downtime and improves productivity. The high quality, USA manufactured consumables used in the torch help give superior cut quality. 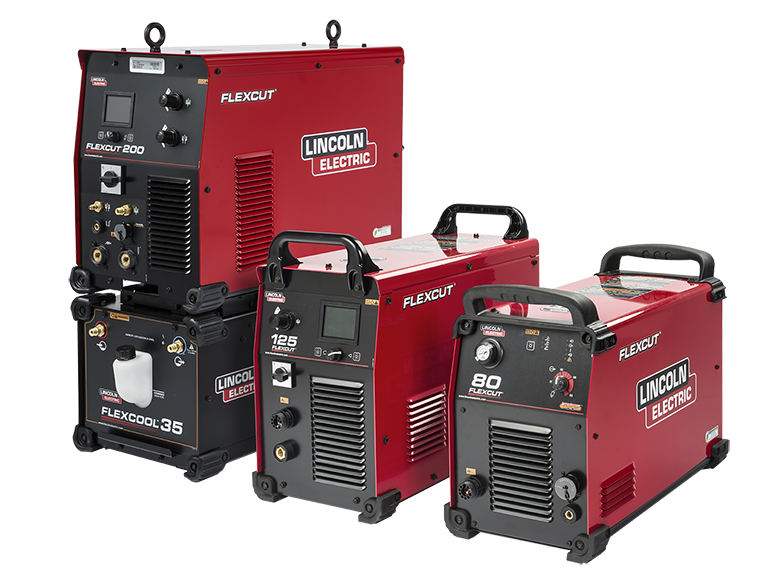 Users can cut material at 200 amps while holding a 100% duty cycle. 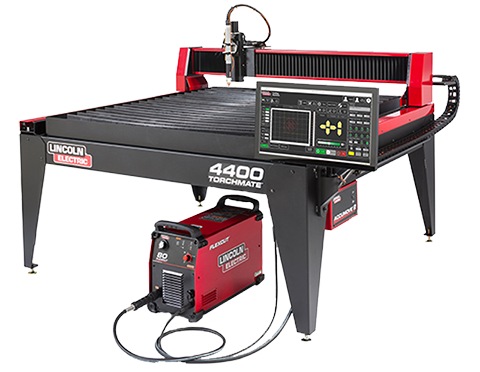 This duty cycle is ideal for CNC applications allowing you to run full production schedules. 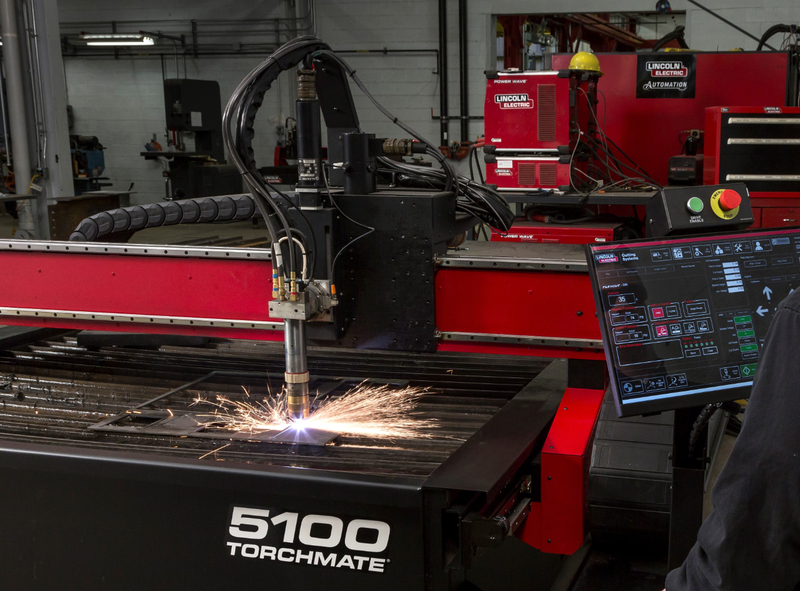 The FlexCut 200 is available as an option to add to your Torchmate 5100 plasma table. 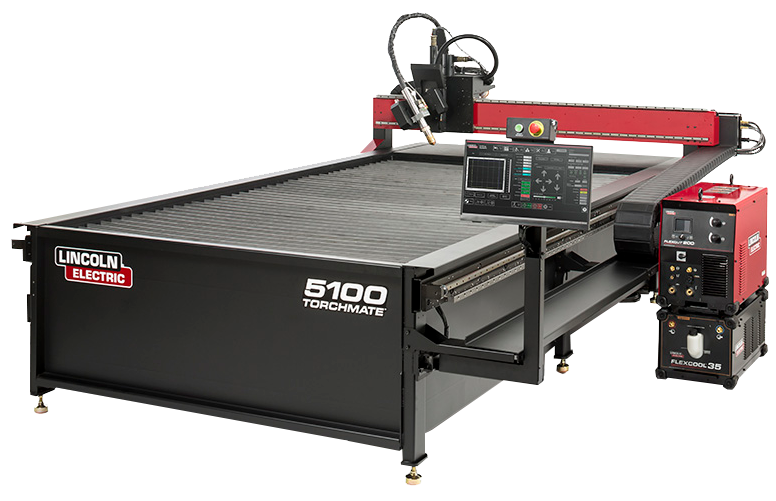 The combination of this premium plasma system along with the industrial build quality of the Torchmate 5100 plasma table delivers a superb cut and is capable of all-day production. 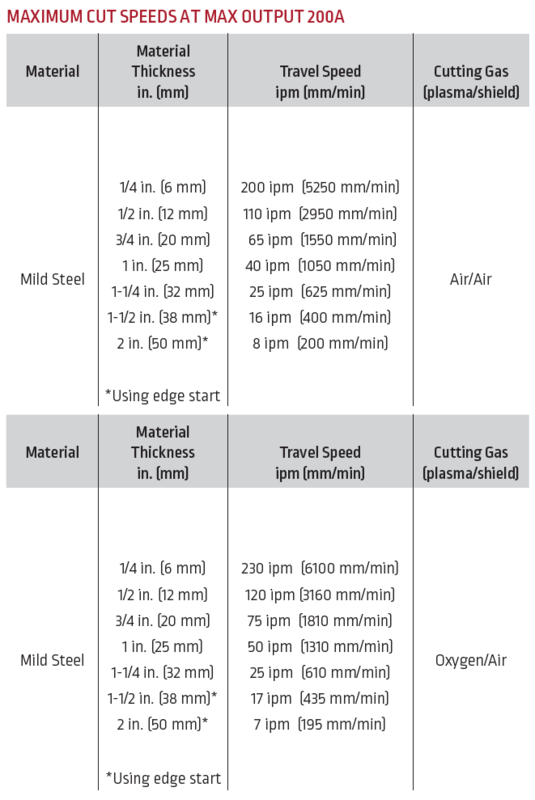 Please download the full FlexCut 200 Product Brief here. 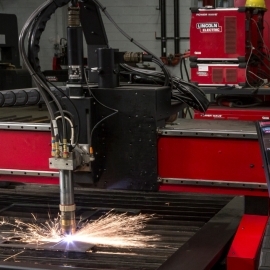 You will find complete details on this plasma cutter inside, including technical specifications.